We know that wedding planning can be extremely stressful! Between budgets, choosing the right vendors, and figuring out all the pieces to the “wedding day” puzzle, it’s easy to turn exciting moments into stressful ones. At Simply Stunning by Divas, we want to make sure that wedding dress shopping is exciting and stress-free. Today we’re sharing tips for wedding dress shopping in hopes that your dress shopping is smooth sailing! 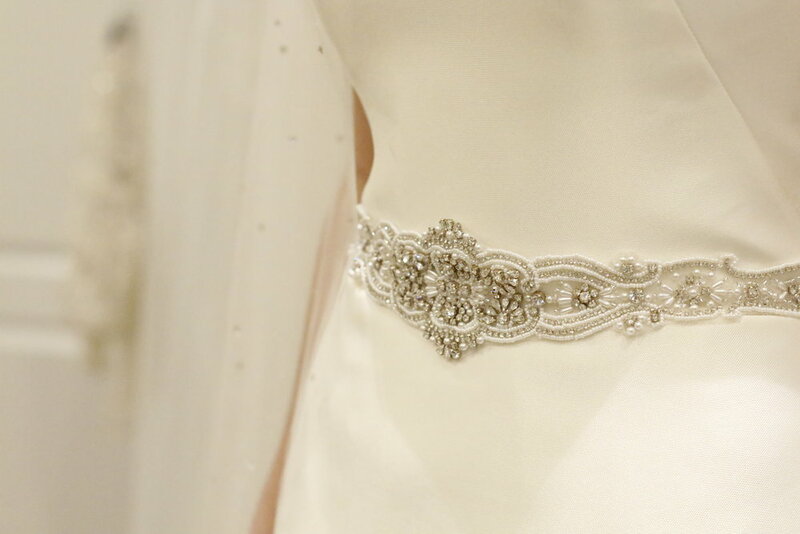 We can’t wait to help you say yes to the dress. 1. GATHER INSPIRATION | Once you have said “yes!” it’s time to start thinking about saying “yes!” to the dress! Now is a good time to pick up a wedding magazine, peruse Pinterest, or take a look on wedding websites to gather inspiration for what you think you would like your wedding dress to look like. Having inspiration or photos of dresses you like is important when it comes time to your wedding dress appointment. This allows your consultant to see the styles you like and help guide you in the right direction in store. Tip: Create a secret Pinterest board to store all of your wedding dress inspiration! 2. KNOW YOUR BUDGET | Just like anything else, having a budget is key when shopping for a wedding dress. You don’t want to have champagne taste on a beer budget and end up disappointed! Let your consultant know ahead of time what your max budget is so everyone is aware. Also, do not try on anything beyond your budget… it would be WAY too tempting if you fell in love with it! At Simply Stunning by Divas we strive to respect your budget while making you feel incredible in the dress you choose. 3. MAKE AN APPOINTMENT | Once you have gathered inspiration and know your budget it’s time to schedule your appointment. While we don’t require appointments, securing an appointment will give you dedicated time with a consultant and will make your experience MUCH better. You can read more about the appointment process on our FAQ post HERE. 4. KNOW YOUR TIMELINE | It’s important to keep in mind the timeline for your wedding when shopping for wedding dresses. If your wedding is less than 6 months away, you may incur rush fees on your dress. We also offer certain dresses to be purchased off the rack. During your appointment let your consultant know your wedding date and if you will be taking bridal portraits before your wedding. If so, your wedding date will actually be your bridal portrait date. We touch on this subject a bit more in our FAQ post HERE. 5. BRING APPROPRIATE SHOES & UNDERGARMENTS | It’s important to bring a pair of heels when trying on dresses so you can get a good idea of the length. It’s also important to bring appropriate undergarments (i.e. a strapless bra and underwear) so you can get a better idea of how the dress will look and fit. Your consultant may also be in the room with you at times, so make sure you are comfortable in your undergarments! 6. BE OPEN TO TRYING ON DIFFERENT STYLES | Everyone says to keep an open mind when trying on dresses, because the one you didn’t expect to love can easily become “the” dress! Be open to trying on different styles if your consultant suggests it. The job of our consultants is to help guide you and pickup on your likes/dislikes. There may be a designer or dress style that the consultant knows about that could very well be “the” one! 7. THINK ABOUT WHO YOU WANT TO BE THERE WHEN YOU SAY YES | Are you a very private person? Then you probably don’t want 5 people there with you when you try on dresses! Also ask the shop how many people they allow, as some only allow 2-3 with you. While we do not have a “limit” on the number of people you can bring to your appointment, we always like to remind our brides that each person has their own opinion and that can be a bit overwhelming to some. 9. THINK ABOUT YOUR VENUE WHEN PICKING THE DRESS | Try to think of the feel of your venue when choosing your dress. If you’re getting married on the beach, then a thick, layered dress is probably not the way to go. Same as if your venue is very fancy, you don’t want to go with something super casual. The venue and the dress set the mood for the entire wedding. 10. WHEN YOU SAY YES TO THE DRESS…. STOP LOOKING | Take your time saying yes to the dress. You want to be 100% sure this is the right dress for you. Once you have said yes and popped the champagne to celebrate…stop looking. Don’t go dress shopping, stop pinning new dresses, and don’t even think about saying “yes” again. Seriously! Wedding planning is stressful enough without throwing another dress into the mix. 11. HAVE FUN WITH IT! 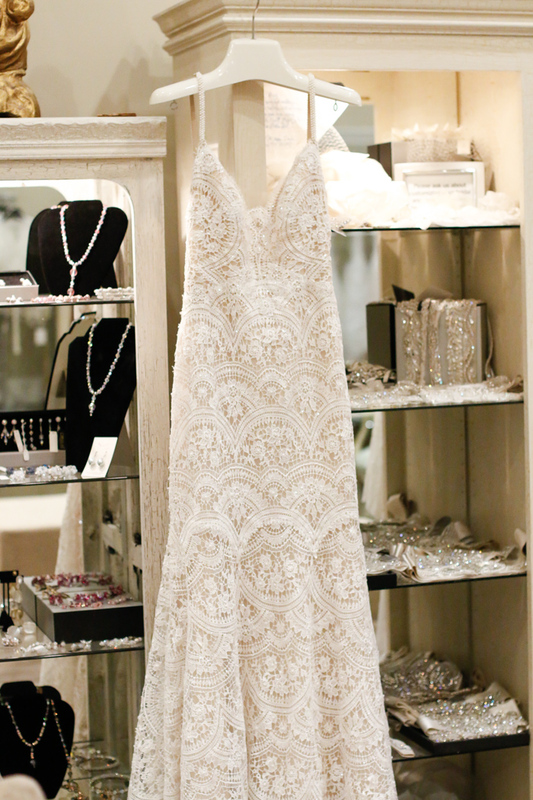 | This is the dress you are going to say “I do” and become a Mrs. in! Have fun with this memorable moment and share the excitement with those around you! A lot of brides have told us saying yes to the dress makes everything feel “real,” so soak in this special moment! Newer PostBRIDAL MONTH IS HERE! Older PostSample Sale Gowns & Extra Discounts!